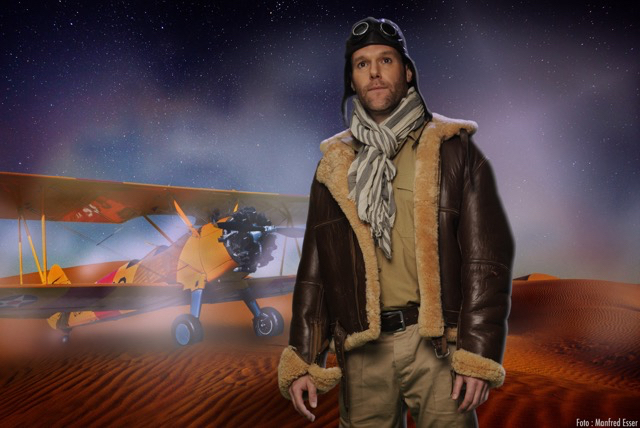 Canadian barihunk Benoit Pitre is starring as the Pilot in the latest adaptation of The Little Prince (Der kleine Prinz). The new version is from former singer and composer Deborah Sasson and librettist/choreographer Jochen Sautter, who based the libretto on the French version of Antoine de Saint-Exupéry's book Le petit prince. The show is opening on December 12th in Niedernhausen and then touring throughout Germany, Austria, Italy and Switzerland. Some of the major cities where it's playing include Hannover, Innsbruck, Bonn, Frankfurt, Leipzig, Basel, Munich, Zürich, Vienna and Hamburg. You can check out the entire tour schedule HERE. The Little Prince is a poetic tale in which a pilot stranded in the desert meets a young prince fallen to Earth from a tiny asteroid. The Little Prince makes several observations about life and human nature. Pitre recently collaborated with the Balletto Civile for the premiere of Pizzeria Anarchia, a coproduction of the Teatro della Tosse Genova, the Musiktheatertage Wien and the Neuköllner Oper, portraying the Opera Singer/Viennese Police Chief. 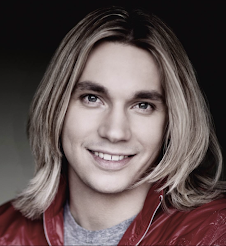 Earlier this year he made his long awaited début as Don Giovanni in Berlin and performed the role of Siméon in a staged version of Debussy's L'enfant prodigue.